Lovely mini tiara is totally embellished with clear, bright rhinestones and backed by a silver comb. 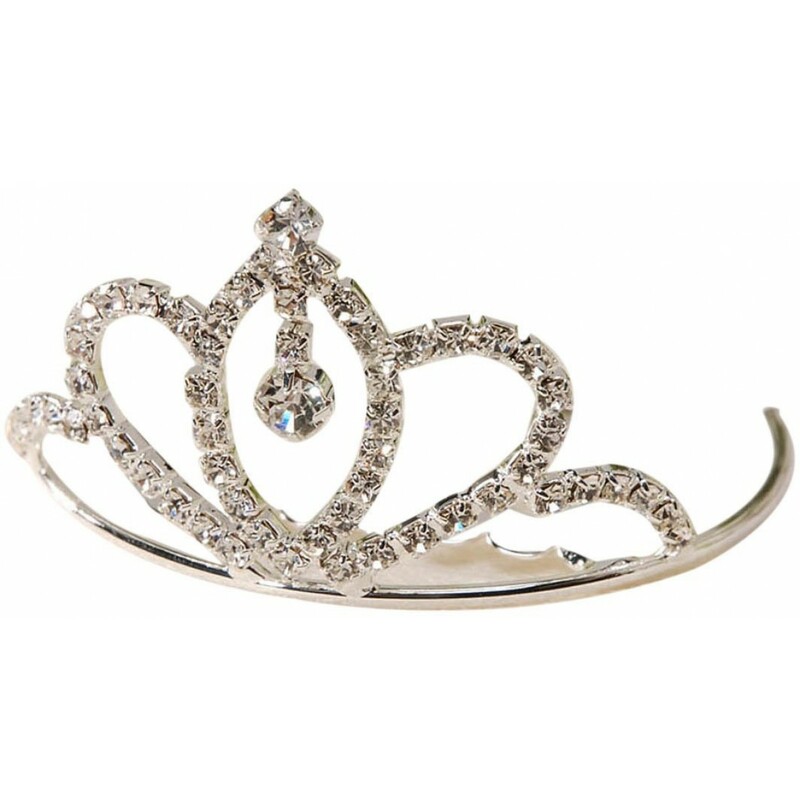 Tiara features a silver metallic base and crown shaped styling, with rhinestone at peak and a larger stone suspended in the open work area directly below. A beautiful, classic way to highlight the bride's veil or special hair style. Comb dimensions: 2-3/4 by 1-1/2 inches. Dimensions: 2 inches wide by 1-1/4 inches high (5 by 3.175 centimeters).